It’s a bad year when the movie I’d most like to see win Best Animated Feature, Ernest and Celestine, takes that position sight unseen. Miyazaki’s The Wind Rises is also sight unseen, and, let’s face it, a biopic about an engineer, which doesn’t sound terribly exciting on paper. DreamWorks put out one okay movie, one terrible movie. Disney has been putting out trailers that are actually hiding the movie’s genre (musical) and are hard to watch, too. Pixar may win it just for being Pixar again. No scrappy newcomer like Rango has emerged. So, let’s talk about the Ursa Majors instead. Note: Please remember these are my October guesses. I came to an obvious realization recently that I should have noted a lot earlier; the last two movies to win the Ursa Major were also the two highest grossers at the box office out of the nominees. And, much as I liked Kung Fu Panda 2, the fact of the matter is that both of those winners were, well, the wrong choice. Okay, so Kung Fu Panda 2 was the great movie that won over the greater movie of Rango, while Brave was the movie that… totally deserved its nomination – this time – to the okay Madagascar 3. Admittedly, I’m fudging that one; I think Madagascar 3 was a great movie, but right now, I’m pretty much alone in that opinion. 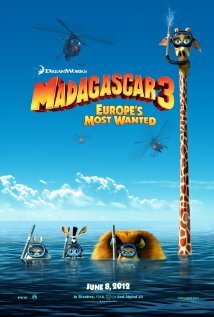 Mark my words, history will show one day that Madagascar 3 was one of those classics of animation that were unnoticed in its time. Either that, or history will show Madagascar 3 was a movie one guy on the Internet really, really liked, but most people are all like “meh” about. Either or. Going farther back, the trend doesn’t always hold up (Toy Story 3 should’ve taken the award running, though Avatar fits like a glove). But, as a popular award, voted on by anyone, well… popular movies are popular. This year, however, we have a movie that I suspect is in the running to win the Ursa Major, but for which the box office will be a moot point. My Little Pony: Equestria Girls was given a fairly limited release; though it hasn’t done anything to disqualify itself from entering the Oscar race, I don't believe it tried to have a qualifying run. Even if it did show for a week in L.A. theater, if they submit for consideration to the Academy (update: they didn’t), it’ll be mostly because they think they can slide into the incredibly weird Best Original Song category, rather than hoping for a shot at Best Animated Feature. At this point, it’s struggling to get a mention on the Animated Feature guide at Cartoon Research. Of course, the limited release severely hinders Equestria Girls’ box office potential; the movie supposedly did surprisingly well for what it was, and quite a few theaters booked additional showings, including the theater I watched it at in Stillwater, Oklahoma, where it was packed on a Sunday morning, and no, not just with bronies. This movie did have a target demographic that is often forgotten about when people talk about the show’s success, but for all the attention paid to the not-little-girls who enjoy the show, little girls seem to like it too. Take this movie out of limited release, and that might be an entirely different story; limited supply increases demand, or something. I don’t know; I’m writing a movie column, not an economic tract. Would it have done any great business as a real wide release? Interesting question, to which I have no answer. So, going by box office is not going to help us with My Little Pony: Equestria Girls chances, this year. However, while I believe it is a frontrunner, and it’s in the pole position this month, the real question is when does the backlash start? Backlash is the reason, two years ago, all-time acting nomination record holder Meryl Streep began her acceptance speech for her third acting Oscar by all but apologizing for winning it. Backlash is the reason, last year, Kyell Gold got out of the Ursa Majors before they began. It’s simple; people hate Winners. Oh, they love a story about somebody winning; but as an underdog, against the odds, come from behind. A Winner who keeps winning, and who everybody knows is going to win, begins to grate on people’s nerves. In sports, no big deal; everybody hates you, sure, but it’s not like anyone can beat you. However, get voting in on it, and it is a factor. This is why I’m picking Gravity to win Best Picture (well, okay, and also because I love Gravity to pieces). At the beginning of September, 12 Years a Slave was hailed as the obvious Winner. Gravity has been the also-ran ever since; it could’ve been a contender, it could’ve had class. If it weren’t for 12 Years a Slave. The Winner. Don’t you just hate that guy? But what about last year? Argo was hailed as the winner back in September, and it won. Yeah, but the director was Ben Affleck, the guy who quietly went from an actor with a spiralling career to a director of pretty darn good movies. Oh, and he didn’t get the Best Director nomination; you know, the nomination without which your movie has about a million to one chance of getting Best Picture? Argo was never the underdog; but it did feel like one. So it won, instead of being The Winner. Trust me, it’ll happen to Pixar; next year’s hiatus will either postpone it, or be the beginning of the end. It happened at last year’s Ursa Majors; you may not have noticed that there were only two repeat winners. Not DreamWorks, Flayrah, or Pokémon, and obviously not the writing categories (notice how winner of Best Short Story is not like the other nominees). One of the repeat winners for last year was … My Little Pony: Friendship is Magic. You have a lot of expertise behind your choices, but I really hope that "Ernest & Celestine" wins the Ursa Major Award. Aside from it being a delightful and witty film (I thought so; I saw it with my sister, and she hated it), it and "Monsters University" are the only Ursa Major contenders that are totally anthropomorphic. "Turbo" almost is; "Equestria Girls" starts out totally anthro but turns human for the majority of the film; and "Epic" and "The Hobbit 2" have basically human casts with just a minority of anthropomorphic characters. In my opinion, if "Ernest & Celestine" does not win, it will be because of its limited release -- not enough Furry fans will have seen it to vote for it. Yes, "The Wind Rises" is a historical biography of Jiro Horikoshi; someone that nobody in America has ever heard of; a 1930s aeronautical engineer who was obsessed to build a Japanese airplane that could compete with and hopefully beat the best airplanes of the Western powers. Miyazaki's cinematic excellence is almost enough to make you hope that he succeeds, despite knowing that his wonder plane would become the Imperial Japanese military's Zero warplane fighter. Almost. Note that 99% of the movie is set in the 1920s and '30s when he is an underdog who only hopes to develop his dream airplane. The movie jumps from about 1938 to a very brief epilogue set just after World War II, when all of his beautiful Zeros are smoking wrecks; the audience never sees them in action. If anyone is interested, Horikoshi did all right after the war; he was awarded the Order of the Rising Sun in 1973. Ernest and Celestine won France's Cesar (the "French Oscar") for Best Animated Feature; second year in a row for a movie with furries (after The Rabbi's Cat); it was also nominated for the Best Animated Feature Oscar over Monsters University which was a surprise for a lot of pundits (raising my hand here, as well); well not so much that Ernest and Celestine was nominated, but that Monsters University wasn't. I'd say The Croods was the movie that edged it out. I will totally admit that I cheered out loud (scaring the bejeezus out of my poor cat in the process) when I realized Pixar got shut out at the Oscars for the second time ever; apparently the Academy felt more ashamed of the Brave winning thing than I thought (that's the only theory I have, because Monsters University was hands down the best Pixar movie since Toy Story 3). The interesting thing about this year at the Oscars is that, thanks to the Sochi Olympics, the Oscars have been moved into March. This means their voting period is also later than usual; this could shakeup the Oscar race as both Ernest and Celestine and The Wind Rises's dubs will be hitting theaters in the new, extended period, which could put them over the frontrunner, Frozen, for which I didn't share the general enthusiasm (you know it's a bad sign when the best part of the movie is the thing that annoyed you in the trailer, i.e. the snowman). The nominations may also encourage the distributors to extend their theatrical runs, which may give furries another chance to see Ernest and Celestine and me a chance to see both. Those two movies winning nominations also put to rest theories that the new rules for voting would shut out the smaller and foreign movies; the fear was that the larger number of voters would cause studio block voting. Oh, and obviously I'm a little bit behind here, both with movie reviews and movie columns, and that isn't the "queue gridlock" or whatever; that's just me. Oh, and on my Gravity prediction; seriously, this is the closest Best Picture race ever, but I feel more confident. American Hustle looked like it had gone through the middle of 12 Years a Slave and Gravity for a while to take the win; the pundits were waiting for the PGA award to see who won, and I was expecting (resigned, really) to see American Hustle win that. Now, to understand how close this race is, you have to understand the reason the PGA award is such a bellwether; both it and the Oscar use a "preferential ballot," which means voters rank the nominees and a movie can win with a lot of second and third place votes if the first place is "love it/hate it". One of the advantages of this formula is that ties, while statistically possible, are the equivalent of flipping a coin and having it land on its edge. During a lecture on statistics. So, Gravity and 12 Years a Slave tied. Statistics, you just got pwned! However, this is better for Gravity because Alfonso Cuaron is winning director awards even when his movie doesn't win picture (such as at the Golden Globes), so it will be shocking if he doesn't win DGA, and that'll probably put him over the top (Academy voters on the fence can be swayed by "inertia"). I'm interested, and I cannot WAIT for The Wind Rises to get its UK release! I was hoping "Le Jour des Corneilles" (The Day of the Crows) would get some recognition, but I haven't heard any news of an English dub or distributing it to a wider audience outside France. I haven't seen it (the trailer looks intriguing) and have heard the anthro characters in that film have only relatively minor roles. I also have not seen it, and I have heard the same. "The Day of the Crows" has not been released in the U.S., and nobody has recommended the French original. Either nobody in France is participating in the Recommended Anthropomorphics List, or the report that it is not really very anthropomorphic is correct. Well... there's also the possibility that maybe the movie isn't very good, but I have a feeling that this isn't the case. There are only 3 reviews collected on Rotten Tomatoes and they are all positive, for what that's worth. Animated films from France often get a DVD release in Quebec, but bare minimum - no English subtitles or bonus material; they leave it to other people to market to the rest of the country. This has been the case with Le Jour des Corneilles (distributed by Remstar) and Ernest et Celestine (distributed by Metropole). Quebec imports a lot of French stuff directly from France, without worrying about its applicability to the rest of Canada. When I visited Quebec in 1967, I went crazy buying all the French bandes dessinées that were not imported by the French specialty bookshops in Los Angeles, which only stocked the major best-sellers. I was surprised and delighted when I visited Ottawa in 2004 (for C-ACE), and found almost as many bandes dessinées and other French books, since Ottawa is far from the Francophone area of Canada.